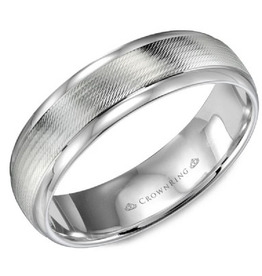 14K White Gold Band With a Modern Textured Design and Line Details. 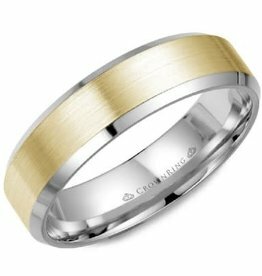 10K yellow gold band with a sandpaper finished centre. 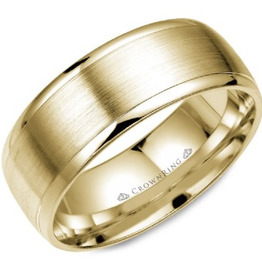 A yellow gold men's wedding band with a brushed white gold center is a classic symbol of love with a twist. 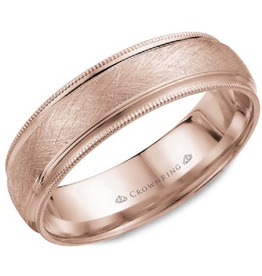 Chic 10K Rose Gold Men’s Band with Textured Center and Milgrain Edge. 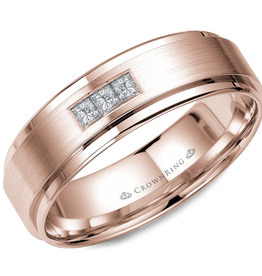 A rose gold men's wedding band with a brushed white gold center is a classic symbol of love with a twist. 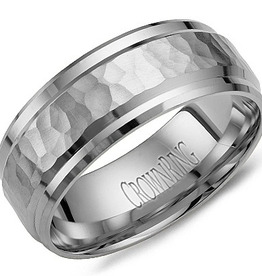 14K White gold band with carved pattern details. 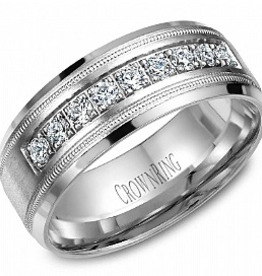 14K WHITE GOLD BAND. 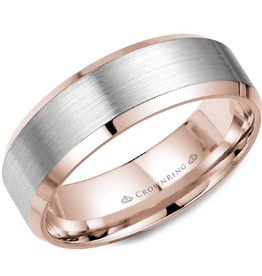 THIS BOLD AND CHIC BAND WITH A HAMMERED CENTRE WAS CRAFTED TO SYMBOLIZE YOUR EVERLASTING LOVE. 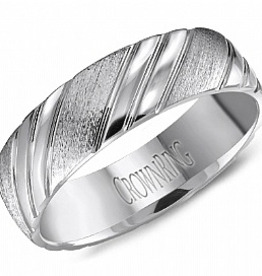 This bold and chic band with a hammered centre was crafted to symbolized your everlasting love. 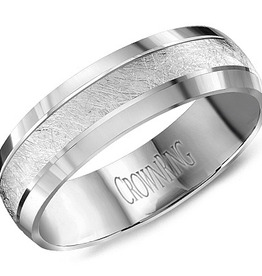 10K White Gold Band. 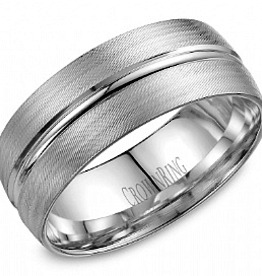 This chic band with a textured centre is for a man with excquisite test. 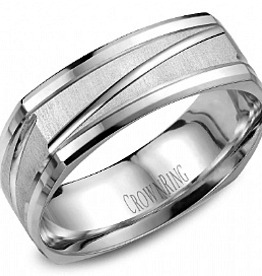 10K White Gold Soft Square Ring with a Sandblast Finish. 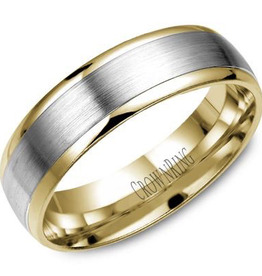 10K wedding band in yellow gold with a brushed white gold center. 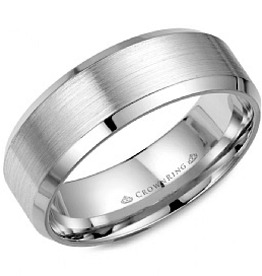 Chic 10K White Gold Men’s Band with Textured Center and Milgrain Edge. 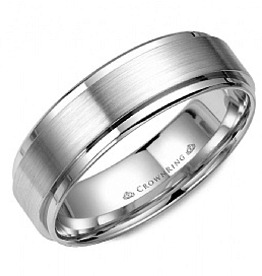 A white gold band with a sandpaper finished centre.